The success of the Dian Fossey Gorilla Fund’s work protecting gorillas comes from the efforts of our staff, who are in the field every day, including our award-winning trackers, anti-poachers and researchers. 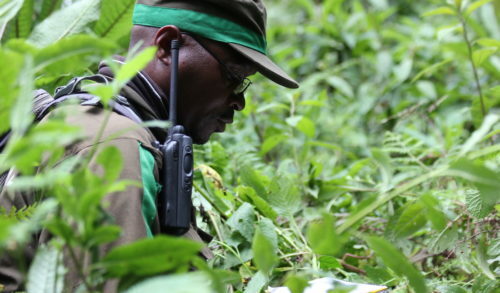 In Rwanda, our trackers hike through dense forests to locate the mountain gorilla groups we monitor, record their status, and handle any dangers they may face, such as poachers’ snares. These gorillas are habituated to the presence of human observers. In the Democratic Republic of Congo, our tracker teams stay in the forest for several weeks at a time, following unhabituated Grauer’s gorilla groups from a distance and ensuring their protection. We are happy to celebrate World Ranger Day on July 31, since it highlights the critical work that rangers like ours do to protect and preserve wildlife throughout the world. Their work is challenging, difficult and can be dangerous, but their relentless devotion is critical to the planet’s well being. Modeste Twagirimana is one of the Fossey Fund’s senior trackers. 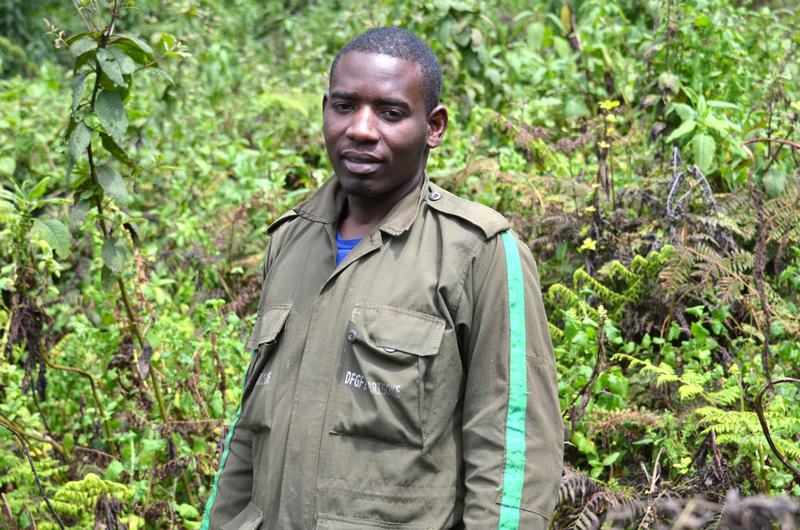 He started work as a tracker in 2002 and helps monitor the largest mountain gorilla group we follow – Pablo’s group. “The best part of being a tracker is to see the mountain gorillas increasing in number,” Modeste says. “It means our work is successful! We feel proud of it and I like spending most of my time together with mountain gorillas– I enjoy it to the maximum!” he says. Innocent Kwizera is one of our newest trackers, who started in February 2018. He also works with the Pablo gorilla group. “My favorite part in this job is to see mountain gorillas safe every day and following them to contribute to their daily protection,” he says. “I personally like the social organization and behavior of the gorillas, how males protect females and the offspring of the group. I like that spirit!” he adds. 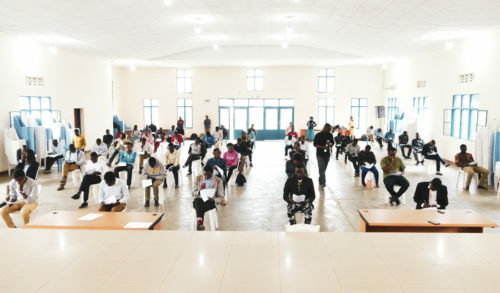 “It is heartbreaking to see people willing to poach in the park, which is not good for the gorillas or for conservation in general,” says Innocent. “It’s a challenge because even if they are only targeting antelopes and buffaloes, the snares do not know that and can also harm the gorillas. “As we celebrate World Ranger Day, a special thank you goes to everyone who keeps working extra hard to keep these critically endangered mountain gorillas safe. But I feel it’s everyone’s duty to protect wildlife and the environment at large. 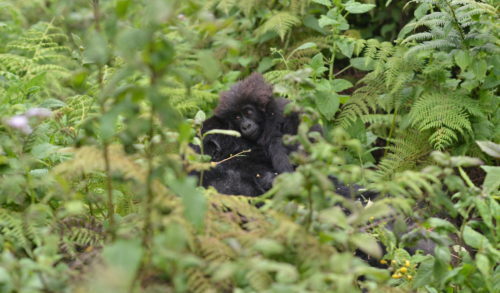 We are all also very thankful to the Dian Fossey Gorillas Fund, which makes our duties easy by proving the equipment and other resources needed to accomplish our tasks,” he adds. 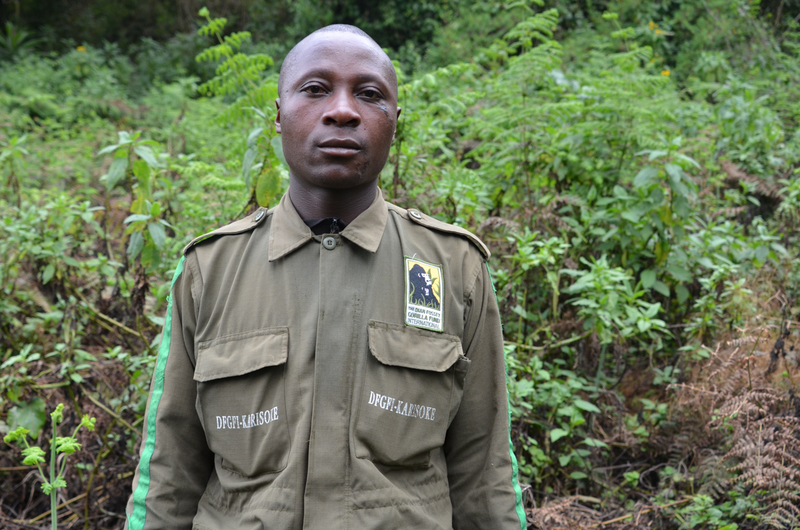 Alphonsine Nakure is a tracker in Mafunzo gorilla group and joined our team in 2008. 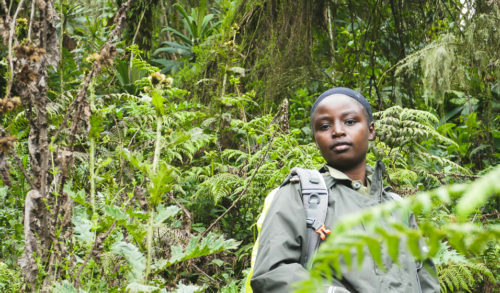 “Being a women gorilla tracker gives me a unique opportunity to work and live in this environment,” Alphonsine says. “It’s amazing to be able to take care of these wonderful mountain gorillas and I’m proud of the work I’ve done to keep the mountain gorillas safe. I wish one day that all people will understand that wildlife should live safely in their environment. 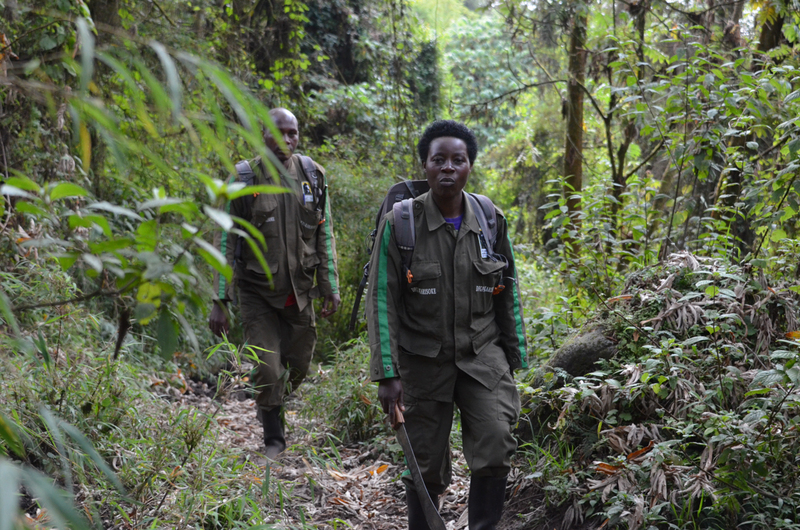 “I salute the work done by our rangers and trackers to protect mountain gorillas and their habitat. 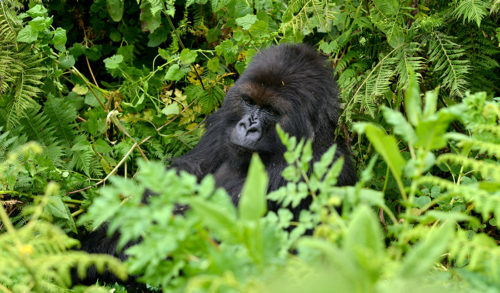 Field conditions in the Virungas are very challenging and the movements of the gorillas sometimes within deep ravines in high altitudes make the work much harder,” Alphonsine says. But, she adds, she is proud to have the strength to do this difficult work. 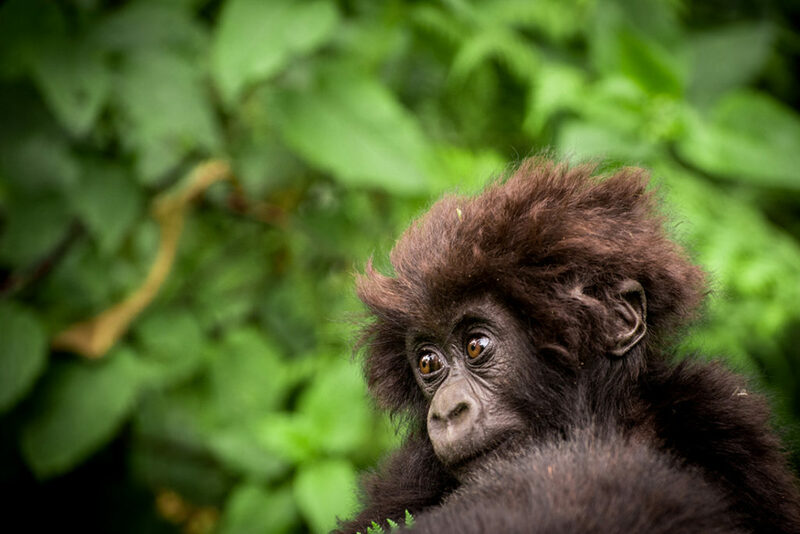 The Fossey Fund is proud and honored to observe World Ranger Day to celebrate our own trackers in Rwanda and Congo, as well as rangers worldwide protecting precious wildlife and habitats. We also want to remember all the rangers who have lost their lives in the line of duty. We are grateful to all for their heroic service to our planet.